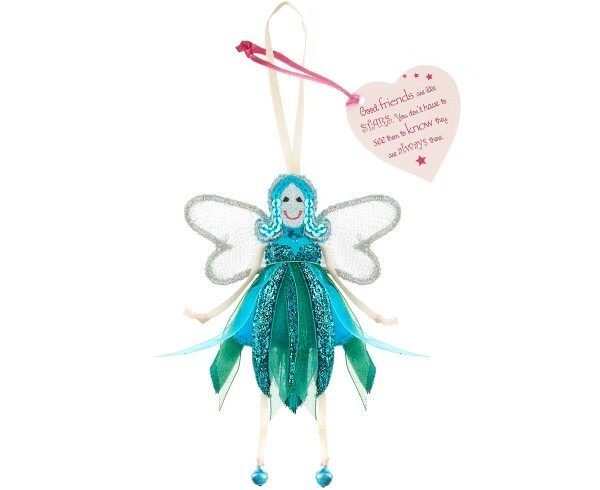 New extra sparkly fairy design with alternating peacock colour glitter ribbon, light blue organza ribbon and green organza ribbon dress. Blue star sequin on dress, blue sequinned hair and blue tinkling bell feet. New heart shaped tag with a simple yet effective sentiment. A lovely gift for a friend no matter what age, to let them know how important they are in your life.